Size : 12.9 x 16.3 mm. Weight : 3.28 grams. Obverse : Anchor with an A and a crayfish to the sides. 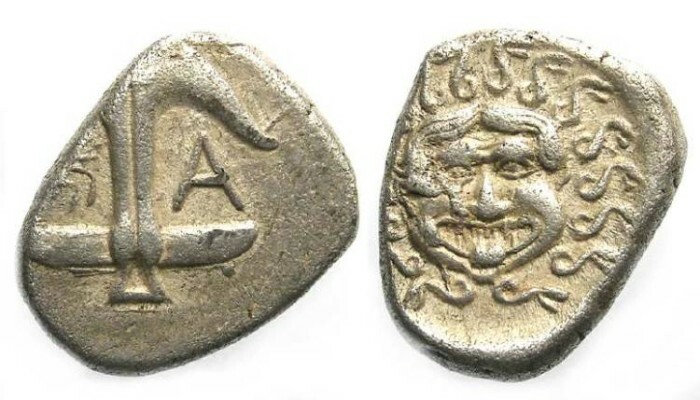 Reverse : Facing Gorgon head.